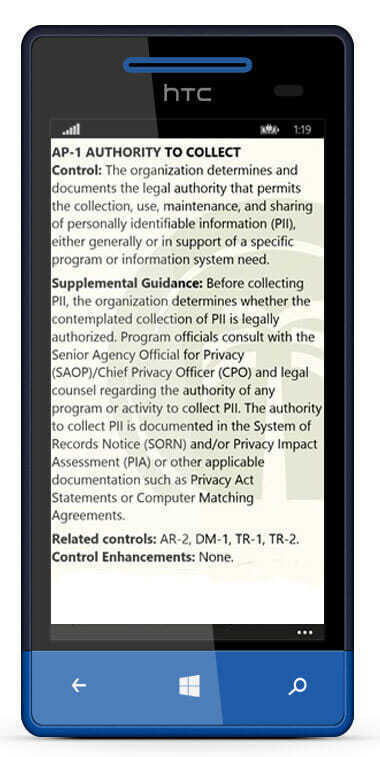 Available on Android, iOS and Windows Mobile, the TalaTek Mobile Quick Guides are portable references designed to help you meet your compliance needs by putting valuable information at your fingertips. Simply download to your mobile device – phone or tablet – and you are on your way. 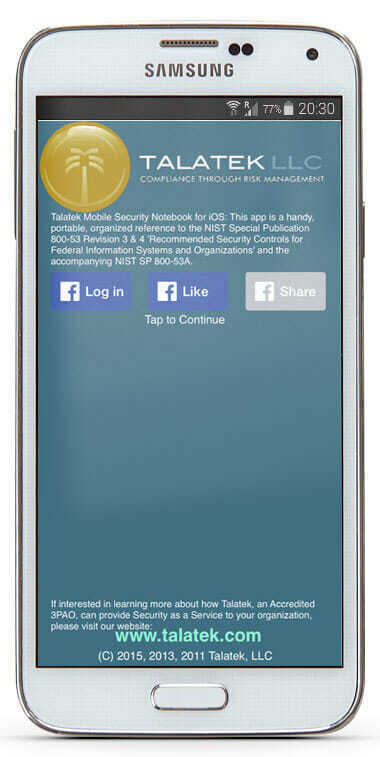 Our NIST Quick Guide covers the NIST Special Publication 800-53 Revision 3 & 4 ‘Recommended Security Controls for Federal Information Systems and Organizations’ and the accompanying NIST SP 800-53A. 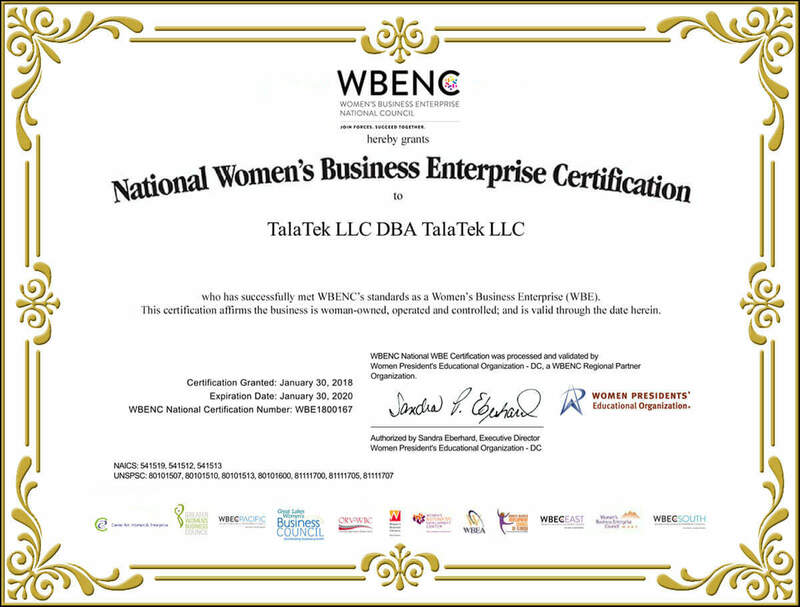 The TalaTek FedRAMP Quick Guide covers the Federal Risk and Authorization Management Program (FedRAMP) Revision 4 controls. 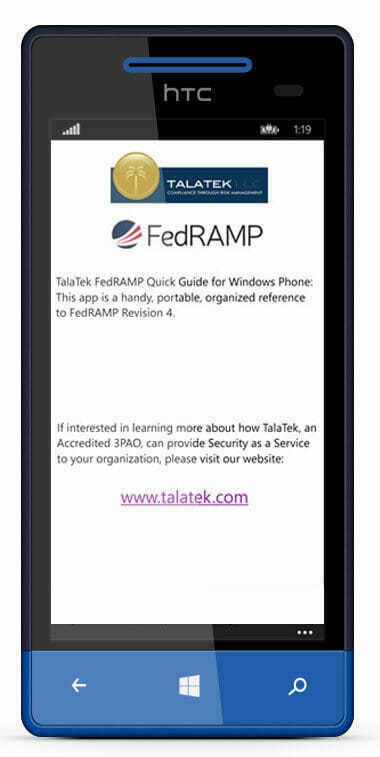 Talatek has updated and improved FedRAMP Quick Guide app for Android devices. 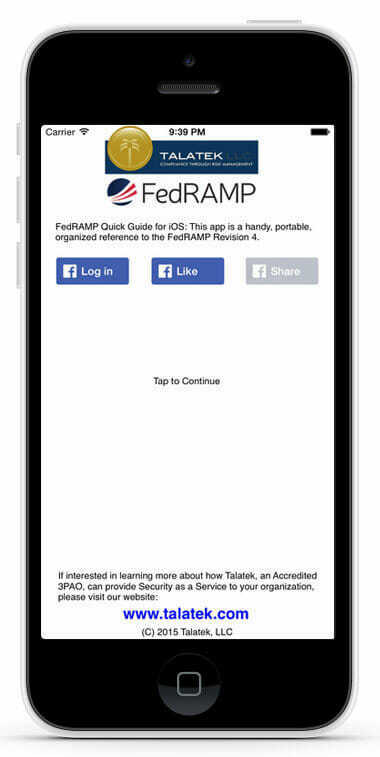 The app now includes the FedRAMP low baseline. 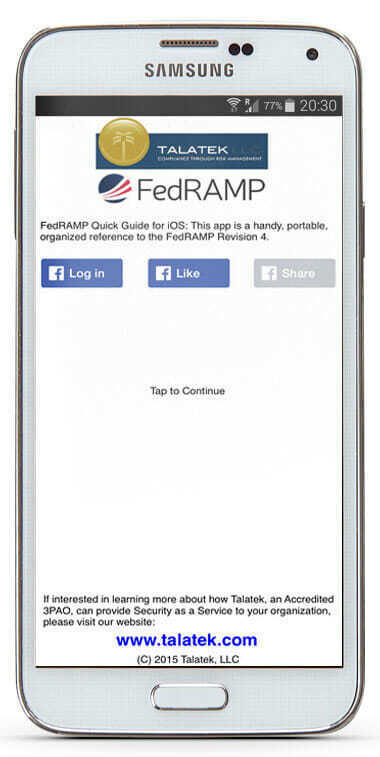 The App is easy to use and allows you to quickly browse the controls by baseline, family, and control as well as search FedRAMP controls. 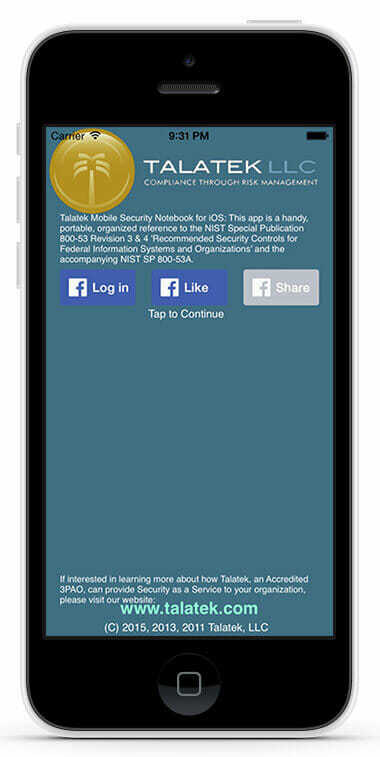 Talatek plans to update the Apple version in the coming weeks. Use the links below to download today!